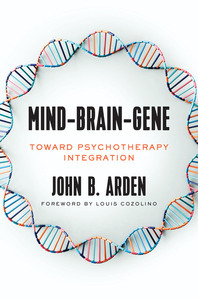 Mind-Brain-Gene - Description | W. W. Norton & Company Ltd.
An exploration of the ways the immune system, epigenetics, affect regulation and attachment intersect in mental health. The evolution of psychotherapy in the 21st Century demands integration. Instead of choosing from the blizzard of modalities and schools of the past, therapists must move towards finding common denominators amongst them. Similarly, today’s psychotherapy necessitates the integration of the mind and body, not the past practice of compartmentalisation of mental health and physical health. This book contributes to the sea change in how we conceptualise mental health problems and their solutions. Mind-Brain-Gene describes the feedback loops between the multiple systems contributing to the emergence of the mind and the experience of the self. It explains how our mental operating networks “self”-organise, drawing from and modifying our memory systems to establish and maintain mental health. 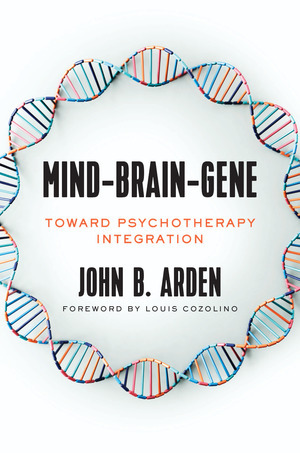 Synthesising research in psychoneuroimmunology and epigenetics with interpersonal neurobiology and research on integrated psychotherapeutic approaches, John Arden explores how insecure attachment, deprivation, child abuse and trauma contribute to anxiety disorders and depression to produce epigenetic affects. To help people suffering from anxiety and depression, it is necessary to make sense of the multidirectional feedback loops between the stress systems and the dysregulation of the immune system that lead to those conditions. Successful psychotherapy modifies the feedback loops among the self-maintenance systems. Through the orchestration of the mental operating networks, psychotherapy promotes the re-regulation of immune system functions, stress systems, nutrition, microbiome (gut bacteria), sleep, physical inactivity, affect regulation and cognition. This book makes a strong case for healthcare and psychotherapy to be combined—together they can revolutionise the way we conceive of, and attain, optimal health in the 21st Century.